Great bartenders are good sources for learning both new drinks and new techniques. Here, I'm combining both of those things. The drink comes from Australian bartender Sam Ross, who's worked in Melbourne and New York bars (currently Attaboy). 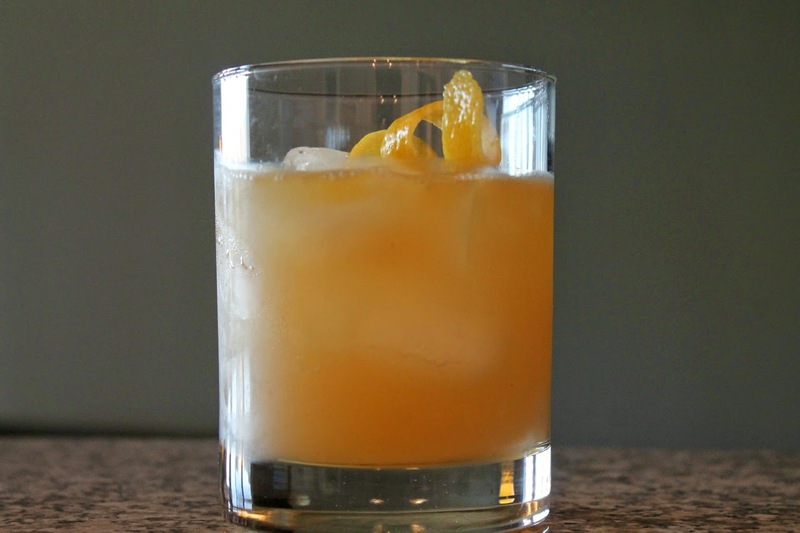 In its recent May/June issue, Imbibe Magazine named Ross's Penicillin Cocktail one of ten contemporary "classic" cocktails, describing it as a "smoky, spicy mix." The Imbibe recipe calls for muddling fresh ginger, although Ross uses fresh ginger juice when making it in this video. Instead, I made it with ginger syrup, using Jeffrey Morgenthaler's recipe from his blog and new book The Bar Book (see recipe in this post). I also used a lemon twist garnish instead of the candied ginger. In his video, Ross discusses how he came up with the drink as a way to showcase single malt Scotch, which isn't often used in cocktails. Although the body of the drink uses blended Scotch, the finishing touch of a float of smoky Islay single-malt Scotch gives drink a dose of smoke on the nose. Note: To "float" the Scotch on top means to carefully pour the Scotch on top of the drink without stirring it in as a final step. Combine blended Scotch, lemon juice and ginger syrup in a cocktail shaker. Add ice and shake until cold. Strain into a rocks glass filled with ice. Float the Islay Scotch on top and garnish with a lemon twist. Does this drink work in place of real medicine?